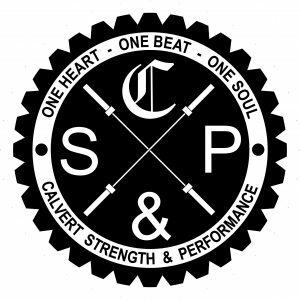 Calvert Strength and Performance (CSP) is proud of our Cavaliers. Our Cavaliers come in all shapes and sizes. They each have many talents and skills. Through CSP we not only give a platform to grow our Cavaliers into Uncommon Greatness, but we also recognize their achievements. Posted in the CSP facility are four boards that recognize the current and all time record holders for specific testing areas. Each board represents a different Cavalier sub-group, Tanks, Bombers, Jets and Destroyers. Through out the year the Cavaliers are measured on their Bench Press, Power Clean, Squat, Total Lift, Strength Index, Standing Long Jump, Forty and GPA. Those boards reflect the best of those who have chosen to work hard and further developing their gifts and talents. There are two additional records that are recognized through CSP and were established in February 2018. These recognition’s are called “Toll Road Members” and the “Full Metal Cavaliers”. The Toll Road Members is a tracking process of our Cavaliers as they earn their stripes and climb the ranks of Private First Class (+80) to the coveted rank of Sergeant Major (+480). Their promotion from one rank to the next is determined through 80 pound incremental growth in our three major lifts (bench press, power clean and squat). The Full Metal Cavaliers are those who achieve a 525 strength index which is a score rating that measures their overall strength as it correlates to their body mass. The strongest Cavalier is not always pound for pound the best. Its only those who have a strength index of 525 or better that can be called Full Metal Cavaliers. Note: All results are based four seasonal test dates and pertains to those athletes that tested during that testing period.